Everybody knows that creating and developing startup is quite a hard thing to do, which requires a solid amount of time, efforts, and costs. That is why every business aims at boosting its productivity and efficiency level to the greatest extent. Thankfully, there are many free and low-cost web-based tools, which simplify different parts of startup business and make running startup easier and more efficient. So, let’s take a look at 12 amazing tools, which will increase your startup productivity. In order to organize your work and the work of your team effectively, you need a project management platform. One of the most popular and useful online project management tools on the market is Trello. Being based on Kanban boards, it enables creating separate boards, adding cards with the tasks and necessary information about them (description, due date, attachments, comments, etc. ), moving these cards among the lists depending on the stage of executing and inviting your teammates to the projects related to them. In general, Trello is a free and easy-to-use online project management platform, which enables managing the working process effectively without much effort. You need to make some graphic design but do not have a graphic artist for it? Use Canva. 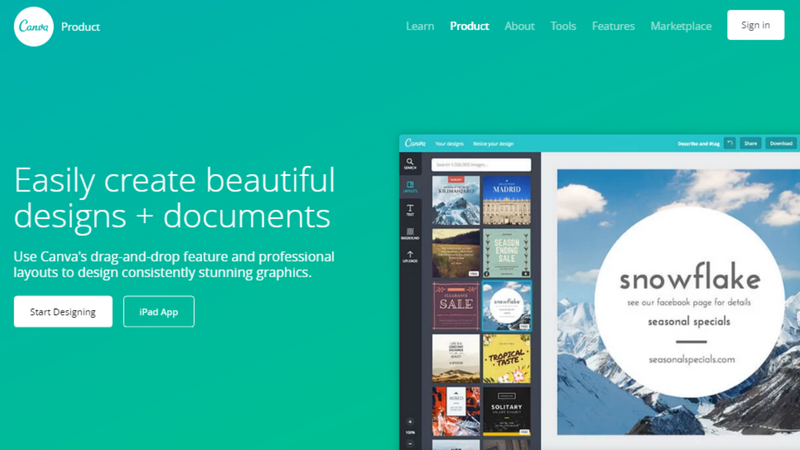 Canva makes graphic design accessible and simple even for not professionals. It is an online and free to use tool, with the help of which you can easily create designs of any type: infographics, presentations, blog banners, brochures, business cards, certificates, labels, social media posts (Facebook, Twitter, Instagram, Tumblr, etc. ), and many more. Its customizing opportunities and solid collection of fonts, images, shapes and other elements gives the power to create professional-looking materials. For boosting the productivity of your social media and saving your time in this direction, there is a number of social media automation tools. For this purpose, you can use a web-based app called Buffer. Bringing Buffer into play enables sharing your content and scheduling posts in such social media networks as Facebook, Twitter, LinkedIn, and Instagram. It eliminates the need to log in every social media channel separately since you can make posts across several networks from Buffer app. Moreover, you can choose the time for your posts and add them to the queue, so there is no need to worry about the ability to make the posts in the right time. It also provides its users with analytics giving information about number of clicks, mentions, audience in potential reach, etc. If you want to remind people about your business and its activities regularly, you have to build a successful emailing campaign. Mailchimp and its automated emailing functions will be extremely helpful in this case. With Mailchimp, creating good-looking and noticeable emails is easy. This platform offers A/B testing, e-commerce features, advanced analytics, segmentation, trigger emails, and other useful things. It supports lots of subscribers and allows managing them. What is more, it provides hundreds of integrations with various web services and applications, such as Salesforce, Facebook, Twitter, Shopify, Magento, SurveyMonkey, WordPress, etc. Every startup calls for proper communication and task management. For these functions, you can use Slack. Slack is a pretty fruitful platform for establishing proper team collaboration. It intends making communication easy, productive, and organized. When using Slack, you can create various teams for your company and communicate with them via channels, private groups, or direct messaging. 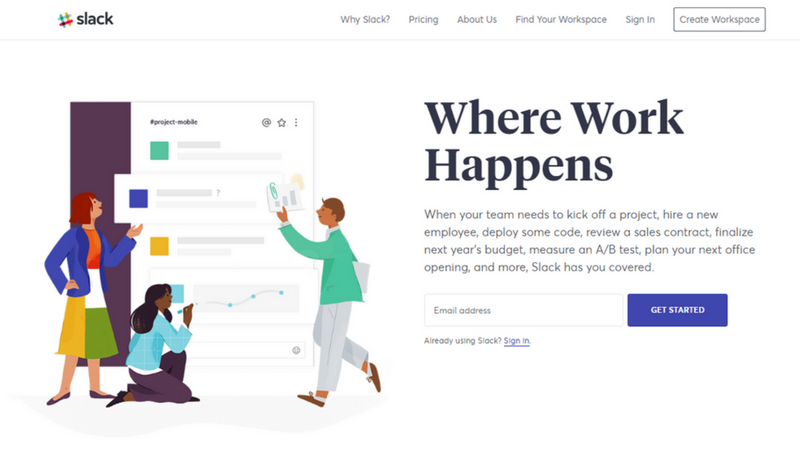 There is a huge number of integrations possible with Slack, among which there are Asana, Trello, GitHub, Salesforce, Twitter, Mailchimp, and even GIPHY. Furthermore, the list of the useful features of this platform also includes automated reminders, to-do lists management, advanced contextual search, drag-and-drop file sharing, indexing and archiving of everything that is going on, posts creating, and many other useful things. World Time Buddy is a great help when there are different time zones involved. This tool serves as a world clock, time zone converter, and web meeting scheduler. It allows comparing different time zones effortlessly, organizing conference calls, webinars, online meetings, etc. World Time Buddy offers widgets, which can be embedded into website and iOS and Android apps to have access from your phone. With its organizing locations, scheduling time, and customization features, this tool is very useful especially when you work with offshore partners. In order to ensure effective work of your team and understand how much time is needed for separate tasks and to finish a project at all, there must be time-tracking. For making it easier for your team and more comfortable for you, you can use a time-tracking tool, such as Toggle. This tool enables tracking time easily for different teams and setting different billable rates for employees. It is available on mobile, desktop, and web and offers over 85 integrations so you can add it to your standard workflow. Visual reports will illustrate the distribution of time for different types of work and show what takes most of the time. You can also track what is overdue and over budget in order to manage your resources and time more efficiently. While doing a business and making up your mind towards some issues, you often need feedback – from your customers, from your team or your partners. Getting that information is possible by doing a survey. And for that reason, you can use SurveyMonkey. 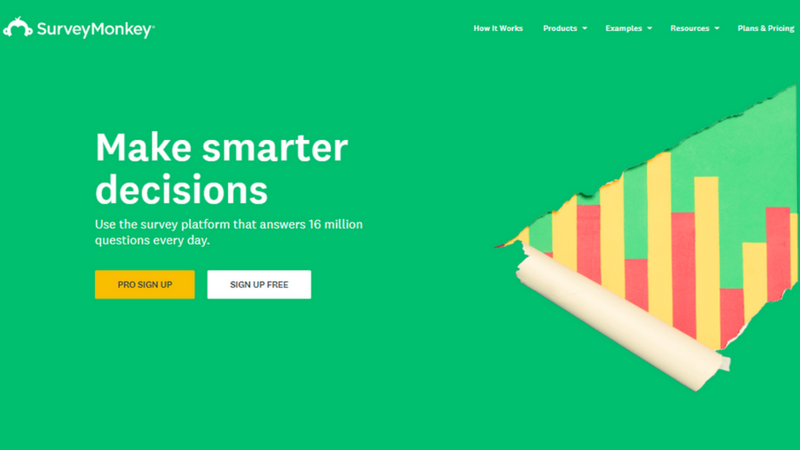 SurveyMonkey is probably the most popular online survey software out there. It is a simple-to-use tool that helps to design, publish, collect, and analyze surveys. You can create your own one or use a ready-made template it offers. After creating a survey, you may post on social media, your website or wherever you want and receive your data in the form of custom reports and professional graphs. If you need some fast and easy accounting for your small business, try Wave. Wave is a free, web-based, integrated accounting software specially created for entrepreneurs, freelancers, and small-size businesses. It helps create professional invoices, estimates, and receipts quickly and without much effort. There is also payroll and personal finance software provided. Moreover, it offers reports and dashboards for a better understanding of the business. Additionally, you can upload receipts into your account so your records will be saved and available for you anytime. Since every business functions to satisfy customers’ needs, customers happen to be in the heart of company’s success. So, managing and analyzing interactions with current and potential customers is crucial, and, for this reason, a company should apply CRM (Customer Relationship Management). Infusionsoft is a CRM app, which will help you to automate CRM, marketing, and e-commerce. This platform was created to simplify and automate sales activities, engage audience with automated follow, help connect with leads and create personalized communications, manage your schedule and tasks, segment your customers, use behavioral triggers to get closer to them, track your results with reports, etc. When it comes to your website analytics, HotJar can come in handy. The most valuable about this tools is that it offers heat maps, which illustrate an interaction between your site visitors and the website itself. Therefore, you are empowered to follow their clicks, taps, scrolling behavior, and, what is crucial, identify when and where most of the visitors leave your website. 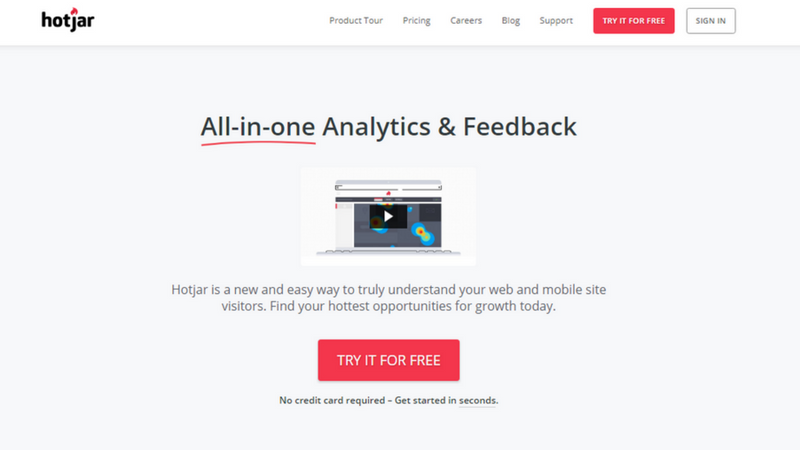 In addition, HotJar offers incoming feedback and surveys to collect your visitors’ opinions and insights. With such data, you recognize what works and what does not, and improve your website at all. For monitoring your social media analytics, there is Simply Measured. Simply Measured is designed to help businesses to understand interests,​ ​influence,​ interactions of their audience, and measure their social media performance. This tool enables monitoring your social media channels, analyzing how things are going there, receiving rich reports in Excel and online, and just getting all the relevant data in one place. Using this platform you can receive valuable insights about your social media performance and build your strategy basing on it. There are many spheres which can be simplified and even automated due to different often free online services. Hopefully, this list has uncovered new useful tools for you, which will be a great help in running your startup.